Express your creativity with a different nib for each occasion! The Monza 3 -clear demonstrator- offers three easily removable complete front sections which accompany a trio of stainless-steel nibs. Choose from Fine or Medium or try the revolutionary new Omniflex™. Have fun while watching your pen’s ink flow through the clear ink feed. See the cartridge’s reserve through the polished clear body. The unique Omniflex nib adapts to every curve which allows for various line variations as you write. The Medium nib is great for quickly recording meeting notes or jotting thoughts in a diary. The Fine nib works perfectly for crafting personal greeting cards or dashing off a note to an associate. Each Monza 3 demonstrator Set comes with three front sections, three ink converters and two ink cartridges to get you started. The box can be used to store your kit’s contents. If you're new to fountain pens, this is a great way to experience various nibs. If you are a seasoned pro, you’ll recognize the great value and potential for fun. Something for everyone. Whether you’re out shopping in Beverly Hills or Wall Street, you’ll catch the eyes of others with this stunning new Lavender Rodeo Drive™. Drawing inspiration from the glamor of the Beverly Hills lifestyle, each pen is crafted in brass, enhanced with hand-made metallic lavender lacquer, and accentuated with chrome creating a captivating writing instrument. Ergonomically balanced, a joy to own, and ideal for pocket, briefcase, purse, or desk; your collection won’t be complete without Rodeo Drive™ Lavender. Crafted as the next in an exclusive series of Regatta™ pens, this Limited Edition Regatta Flagship represents one of Monteverde’s most iconic collections. In homage to the sport of boat racing, the Regatta™ collection features strong magnetic closures for capping and posting; Regatta™ is as dynamic as the contests themselves. As handsome as a finely crafted boat. The Flagship displays the line’s notable carbon fiber aesthetic, and is trimmed with rose gold accents that define the style. This Limited Edition is available in fountain, rollerball, or ballpoint pen. The fountain pen’s stainless steel nib is available in fine, medium and broad. It includes a threaded ink converter. The fountain pen fills with our Colorado Pen cartridges, the ballpoint accepts the common Parker-Style refill, and the rollerball accepts our common rollerball refill. The word “allure” denotes a sense of mysterious beauty. The Regatta™ Allura offers magnetic closures for capping and posting on every fountain and rollerball pen. Magnetism is personified by the new Regatta™ Allura. This carbon fiber and metal pen features a multitude of textures and feels. Brushed silver colored sections and matte accents unify to create a strong stylish statement. The fountain pen’s stainless steel nib is available in fine, medium and broad. It includes a threaded ink converter. The fountain pen fills with our Colorado Pen cartridges, the ballpoint accepts the common Parker-Style refill, and the rollerball accepts our common rollerball refill. Capture your most innovative thoughts with this brazen design; destined to become an icon. This multifunctional writing instrument is as innovative as it is sleek, offering several legitimate crucial functions. No pen lover should be without at least one. The weighty, six-sided barrel houses a touch screen stylus, Philips and flathead screwdrivers, a built-in level, rulers, and three different scale functions, all in one ballpoint pen. The chiseled spring clip holds the pen securely in a pocket, making it easily accessible to handle numerous jobs. The latest edition to the collection comes with the introduction of The Tool Pen Edge™ is available in black, blue and red. the striped look offers a bold design choice on a pen that is a universal necessity. This pen fills with our commonly available mini ballpoint refill. This ballpoint is available in just about every color imaginable; including broad! The uniquely retractable Engage™ utilizes one-of-a-kind Ink-Ball™ technology to draw ink just like filling a fountain pen, but with the convenience of a rollerball. It can be filled from an ink bottle by using the converter and drawing ink up through the point. Conveniently, and the way we recommend, just plug one of our ink cartridges in and you’re all set. The metallic rainbow tones on this Engage™ offer a stunning array of hues to capture the eye. The ‘Full Carbon Fiber’ says it all. Monteverde fountain pens are adored for their variety, ingenuity, and affordability by offering quality craftsmanship usually reserved for far more expensive pens. This fun little pen deserves your respect. If you share our love for fountain pen writing, it belongs in your collection. The Monteverde Monza, a colorful and transparent demonstrator collection, features a modern, eye-catching design. It’s adorned with chrome accents inside and out; this lightweight fountain pen is sure to please. The polished resin body clearly ‘demonstrates’ the pen’s inner workings. Comfortable in hand, this pen is perfect priced for beginner fountain pen enthusiasts as well as experienced fountain pen writing addicts. For those in the know, this pen will be a smile to your face. The Monteverde Monza collection is available in four beautiful colors: Island Blue, Gray Sky, Crystal Clear and Honey Amber. The fountain pen’s flexible stainless steel nib is available in fine or medium point and utilizes either a cartridge or converter. Each fountain pen is packaged with two standard international ink cartridges as well as a piston ink converter. The box, as shown, can be used as a casual pen case. Hands down, the most fun you can have for twenty bucks. We guarantee it. A small ballpoint that packs a punch. The Aldo Domani Mini ballpoint pen from Monteverde should be in every nook and cranny. You should probably put more than one in a special hiding place. They are so useful with a mini ballpoint tip at one end and pda stylus at the other; the kind of tip you need at any checkout counter. Fill purses, pockets, briefcases, kitchen and desk drawers. The possibilities are endless. Our Buyer is amazing when it comes to finding wonderful values for our customers. This time she has managed to round up these Monteverde Icona fountain pens at this remarkable price. Directly from the artisans in Italy, they are simple, they are functional, and they are beautiful. The fountain pen nibs are iridium with a medium point. This is a great opportunity for business or holiday gift giving. Lose yourself in the luscious swirls of color covering the new Monteverde Prima collection. Hand-made resins in turquoise or tiger eye are mixed with touches of black and pearl to create these mesmerizing finishes. No two finishes are alike. The fountain pen, rollerball and twist ballpoint are trimmed in gleaming chrome and black. The balance and ergonomics of these pens have made the Prima a bestseller for years. Fountain pens are fitted with stainless steel nibs in fine, medium or broad point and can be refilled with international size ink cartridges or the included converter and bottled ink. Rollerballs use standard refills available in up to eight colors. Ballpoints refill with liquid, gel or standard ink in up to ten colors. Multifunction pens are a perfect example of demand driving design. Monteverde has just addressed the continual demand for these multi-faceted writing instruments. Three ballpoints and a .5mm pencil with a simple method of point deployment. Add the knurled grip and the bright metallic finishes and you have a great multi-function pen at an affordable price. If writing with a liquid ink mini ballpoint refill isn't enough, how about six more functions? Two screwdrivers, two measuring scales, an accurate level and – a touch screen stylus should get the next job done. This is an understated executive looking pen which just happens to have an interesting array of functions; all of which come in handier than one would think. The durable matte finishes are sure to last while looking elegant all the while. The 'three-sided' shape falls easily to hand and has a beautiful balance. A great writer which covertly manages to cover a lot of practical unexpected possibilities. The Collector's 12 Pen Tray from Monteverde is the ultimate way to admire any fine pen collection. Handcrafted from furniture grade wood material that is valued for its strength and detect-free composition. It has a smooth, highly uniform finish. Substantial in weight, this deluxe 12 pen tray features a plush, non-skid base designed to protect your fine furniture. Available in black or white, the Collector's 12 Pen Tray is a must have for any collector. Montegrappa ballpoint pens are a one-piece twist to deploy design. The Montegrappa ballpoint pen will accept an extremely broad selection of ballpoint refill technologies: standard ballpoint ink, GEL ballpoint ink, Liquid ballpoint ink as well as the Easy Flow technology from Schmidt. Some of these choices are available in as many as eight colors. Monteverde offers a wide range of fountain pens to fit a variety of needs and budgets. Most Monteverde fountain pens are sold with stainless steel fine, medium or broad nibs. 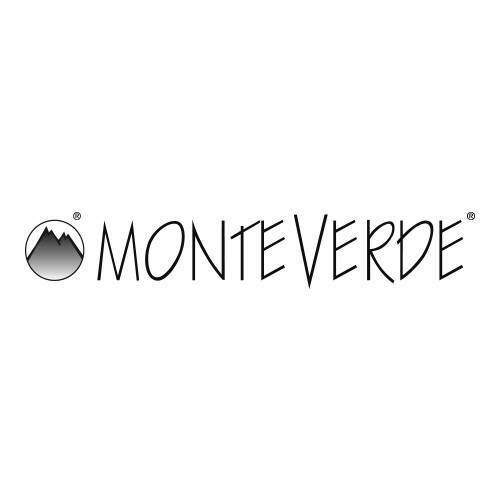 Monteverde fountain pens will accept international sized ink cartridges or can be used with a converter and bottled ink. Monteverde rollerball pens feature a separate cap and body design. Your Monteverde rollerball pen will accept Monteverde rollerball refills as well as spring-loaded fineliners, standard fineliners and a standard Schmidt refill. Some refills come in as many as eight colors.